Did you know you get get your Dental Implants in just a single visit? Same day dental implants are convenient and virtually pain-free. The technologically-advanced service provides patients with the ultimate in cosmetic dentistry-a beautiful smile. 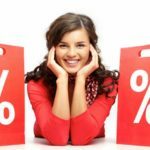 If you want to restore your self-confidence by investing in your future success, consider the value of same day dental implants in Beverly Hills. It’s among the best expenses you can put money into because it pays out a lifetime of rewards. There are things you should know about the dental implant process. Highlighting what they are and how the dentist approaches them lets you be an active participant in the surgical procedure rather than someone just sitting in the chair. The end result will be very gratifying, so you’ll want to take note of what you’ve just been through to achieve your goal of a happier, healthier smile. In addition to providing you with greater self-confidence by improving your appearance by making you look and feel more youthful, same day dental implants in Beverly Hills also makes it easier for you to bite down and chew without experiencing pain. 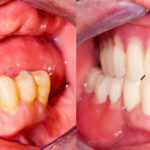 The procedure helps protect your other teeth from loss and preserves the bones and muscles in your mouth so you don’t experience things such as receding gums or additional tooth loss. A beautiful smile can help you get the job you always dreamed of or meet the person that you were meant to get to know because you’re no longer hiding your broken or missing teeth. Instead, you feel comfortable smiling and letting other people get to know you. An incredible smile is among the best fashion accessories that you have, too. Studies have found that people who smile openly are believed to be younger than their actual age. You don’t need a miracle tonic or serum to help you maintain youthfulness. You simply need same day dental implants from Smile Angels to stay young at heart forever. How Does the Same Day Dental Implant Process Work? To better understand the process, it’s important to have an idea of how many steps are involved to help correct your smile. That way, you go into the same day dental implants provider armed with as much knowledge as possible to be a well-informed patient. You’ll know what to expect from your dentist as well as having a timeframe for healing so that you can go back to life as usual without interference. The steps are in the order the dentist will complete them. As always, asking questions about the process is recommended because it makes you more comfortable and easier to operate on. You’ll experience less fear and have more confidence in the dentist who is available to help you every step of the way. Step One: Schedule a private consultation for a time that is right for you. The very first step in the same day dental implant Beverly Hills process is to meet with the dentist. A private consultation with our professional dentist provides you with valuable information about what it takes to implant a new tooth or teeth into your mouth. It gives you a chance to get to know the dental staff better and to ask questions that may be of concern to you as you meet for the first time about your same day dental implants procedure. Step Two: Prepare to have x-rays taken of your teeth. This step allows the dentist to have a visual blueprint of your mouth’s layout. That way each dental implant can be planned and mapped out. The x-rays provide insight about the amount of work that needs to be done by your dental professional. It also serves as a record that can be referred to by your dentist at a later date if additional work needs to be done on your mouth. The x-rays take just a few minutes to complete and are a vital part of the same day dental implants process. Once they are taken and examined closely, you’ll be able to move onto the next step of the session which involves a more comprehensive care plan designed just for you. Step Three: Discuss a treatment plan with your dentist. Each person’s needs differ which is why your personalized treatment plan may differ from other patients’ plans. 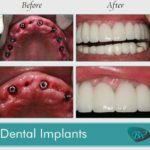 You may need more than one implant and depending on the extent of the surgical procedure provided, be required to make more than one visit to get the remainder of the work done. Your dentist will be upfront about the process with you at the time of your appointment. Discussing the three steps that go into completing same day dental implants helps you understand exactly what will happen while you’re sitting in the dentist’s chair. Asking questions at this time is advisable as it clears up any fears you might have about the harmless procedure. The first step in any same day dental implants Beverly Hills procedure is the addition of a titanium post. It serves as the anchor that keeps the crown in place. Essentially, it’s like a tooth’s root. Next, is the abutment. The role it plays is to stabilize the implant. That way, it remains where the dentist places it without moving around. The last step is to place the crown. A protective measure that helps the surgical area heal, it’s what is used to replace the missing tooth. You’ll be using it to bite down and chew. Step Four: See a virtual mock-up of the same day dental implant process customized to meet your unique needs. This process allows you to see how the same day dental implants will be placed inside your mouth. You’ll be able to visualize how they will anchor to your jawbone as well as how they’ll look once placed. You’ll see the x-rays the dentist took so you’re able to see why they are recommended and how they can help you maintain better dental hygiene, improved self-confidence, and increased comfort biting and chewing especially if you were doing both with missing or decayed teeth. Step Five: Your dental implant is created in-house. Your temporary tooth aka ceramic crown is created so it can be placed while you’re in the dental office. Same day dental implants Beverly Hills makes it so that you walk out the door feeling accomplished. The crown is matched to your other teeth so it looks as natural as possible. While you heal and the titanium completely bonds to the jawbone, you’re able to get a feel for what it will be like once the permanent tooth is placed. It will look and feel like the crown which is quite the relief because many patients love how realistic the temp tooth is. You’ll be able to do everything that you would with your regular teeth including smile, eat, floss, and brush your teeth. Step Six: Surgery is done so the healing process can begin. The actual surgical procedure is completed at this time. That way, the healing process can start right away. Minimal pain is felt because the surgery itself isn’t as obtrusive as it was in the past. The titanium will be placed as well as the abutment. You’ll be under the care and attention of the dentist during this time so there is nothing to worry about. The crown will be placed just as soon as this part of the same day dental implants procedure is complete. Step Seven: The teeth needing replaced are placed into your mouth. The dental implants are placed so the dentist can see how they look. 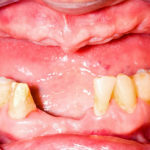 You’ll be able to see how they fit in your mouth, what they look like when you smile, and how they feel when you close your teeth together the way you normally would if you were eating or using a toothbrush. A crown is placed to protect the surgical area while it heals and to act as the replacement tooth temporarily. That way, no food gets stuck in it while you eat. You also won’t feel the pain of sensitivity while brushing your teeth. Once these steps are complete, you’ll be able to enjoy the look and feel of your new smile. Our mission is to make it appear as natural as possible which is why we take great care to preserve the structure of the bones and muscles so that you’ll continue to be youthful. With same day dental implants, hiding behind your hands or a tight-lipped smile is no longer necessary. Share your beautiful new teeth whenever you can with everyone you meet. You’ve worked hard to get to where you are today. Let everyone else see that millionaire dollar smile of yours by posting pictures on social media or sharing your experience with our dental office with your family, friends, and co-workers! Contact Smile Angels of Beverly Hills for a 100% free dental implants consultation today. A beautiful smile is worth the investment. Let us know how we can help you look and feel your very best. We’re invested in you and your smile! Why do dental implans take such a long time?